I’m going to endeavor to be a lot more regular about posting upcoming releases. Today, two books: the DC Retroactive Green Lantern 1990s issue, and the DC Comics Presents JLA: Heaven’s Ladder reprint. I had a meeting with a DC exec this past weekend at the Baltimore Comic Con. One of the topics of conversation was what it was like writing Kyle again. The best comparison I could come up with was slipping into a comfortable, familiar sweatshirt again. It was pretty easy to slip back into the rhythms of writing Kyle in that era, especially since I was reuniting with my friends and artistic collaborators of Darryl Banks on pencils and Terry Austin on inks. 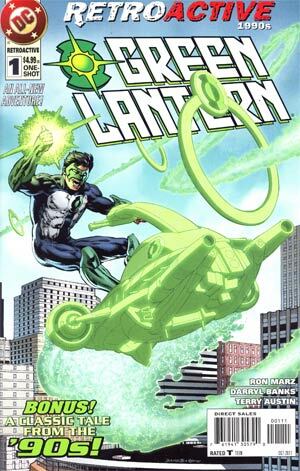 The Retro GL issue includes a reprint of Green Lantern #78, which was one of my favorite issues of the run. 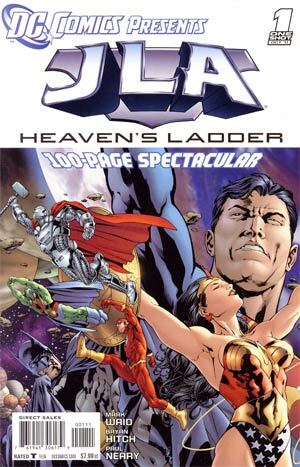 Heaven’s Ladder is a reprint as well, presenting the Treasury Edition-size story that began the Mark Waid and Bryan Hitch JLA run (featuring Kyle). 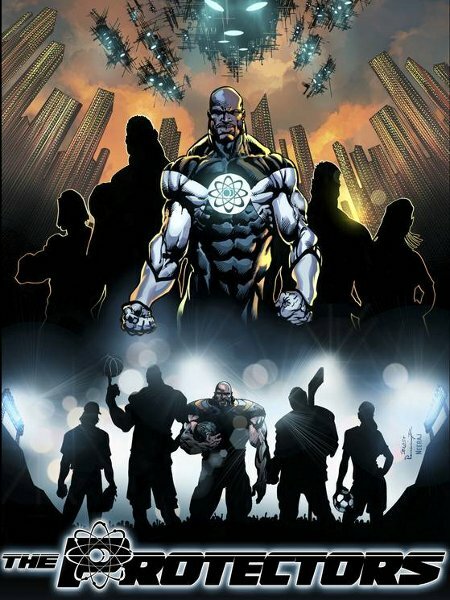 My part of the book is a reprint of Green Lantern #1,000,000 issue, also drawn by Bryan Hitch. Crossover or tie-in chapters are not usually high on my list of favorites, but I’m fond of the way this way turned out, almost completely due to Bryan’s art. New blog piece, In Stores This Week: http://t.co/mAQzeth Go forth and purchase!